I've loved him since I was old enough to understand what that meant. Max Jackson, patched member of the Knight's MC, is someone Wren Armstrong’s father considers a friend. She shouldn't want him. Shouldn't need him. But she does. She always has. When Wren is put in danger while away at school, she's forced to return home to Hawthorne, Nevada, on the back of the bike of the very man she left to avoid. That first kiss is everything she ever dreamed it would be and everything Max has tried like hell to deny. But when danger looms with Wren at its center, Max will stop at nothing to protect her. Even if it means losing everything else he loves in the process. 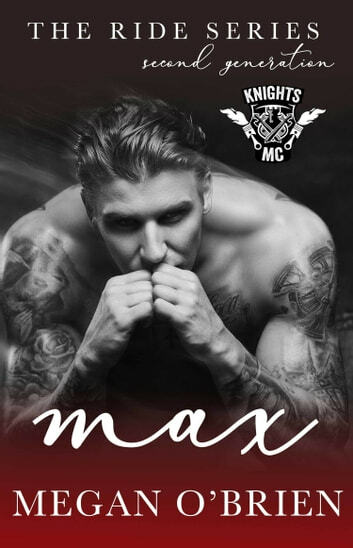 Max can be read as a stand-alone, but it's recommended that you read the First Generation Ride series.